Glasgow’s festive winter celebrations start officially on Thursday 15 November 2012. The first event is the switching on of Glasgow’s Christmas Lights at George Square. For good or bad Glasgow instigated a ‘fair ticket policy. That means if you wanted to join in the live event you had to enter a ballot which was CLOSED on September 30th. However, if like us you are in offices, hotels or restaurants close by, like the glass fronted Brasserie on George Square in the Millennium Hotel Glasgow for instance, you will still get to see the fun and frolics as George Square’s monuments and Christmas tree are lit up once again. The Glasgow Style Mile Parade – Buchanan Street on 18th November. New research fresh out of the University of California, Berkeley, shows that who you are, where you live can determine your home’s ecological and carbon footprint. That data can also give you a good indication of which eco-changes would be most beneficial for your house hold and your income. The report shows that an active eco-friendly building policy can positively influence every buildings carbon saving potential and that potential can be significant. The Competition has been conceived as a means to raise awareness of sustainability issues and to recognise the world beating work and being undertaken within the building sector in Scotland. The competition is open to anyone who has delivered a new build or refurbishment project which embodies low carbon principles. Application forms can be downloaded directly from the Carbon Trust and additional information can be obtained by emailing lowcarbon@smarts.co.uk. The Lighthouse is considered by many to be Scotland’s primary centre for Design and Architecture. The Herald Building in Mitchell Street which houses The Lighthouse is quite a unique space. It was designed Charles Rennie Mackintosh and was his fist public commission. Renovated in 1999 the building is now an inspiring events venues and a design center for Glasgow’s creative industries. It draws thousands of visitors a year. This month (if you want to step in out of the rain) you will be greeted with a unique photographic exhibition called Glasgow Restored. 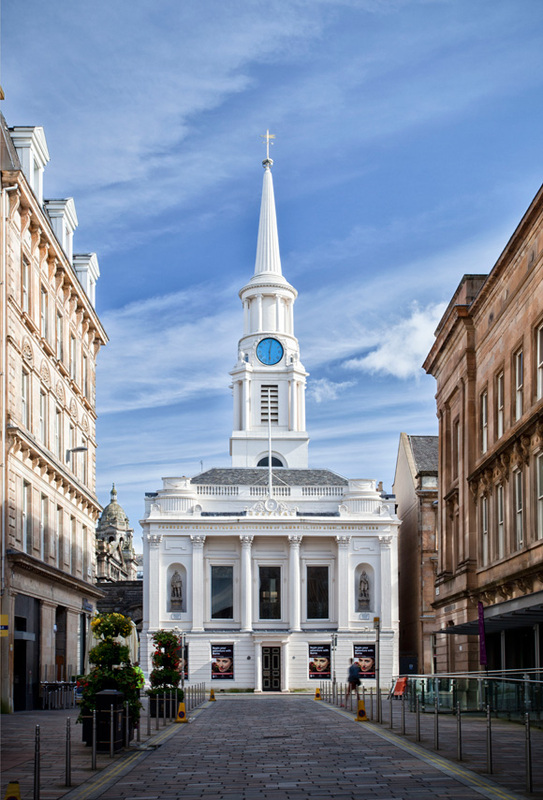 The exhibition is showcasing and celebrating the numerous historic buildings that Glasgow Building Preservation Trust has been involved with saving since 1982. Oh and by the way if you get peckish or parched, the building also boasts a pretty good cafe, where you can get home made cakes and a good variety of coffees and teas. Sadly it closes at 4:30 so get in early to enjoy the food. Step up to the Doocot Café on level 5 as part of the overall experience - you won’t regret it. When it comes to Networking PechaKucha style the idea is to get to the basis for your pitch fast, encouraging you to strip back the fluff and get down to the bare essentials. The Scotish Environmental Technology Network has adopted the popular and effective rapid-fire, Pecha Kucha style of presenting. They are generally informal and fun gatherings where people get together and share their ideas, works, thoughts and more. The objective is to keep your audience’s interest piqued and therefore keep your business in the minds of those all-important connections who will hopefully seek you out and network with you over wine and a few nibbles later in the evening. Here is an example of a PrchaKKucha style presentation on town planning, conservation and renovation for you to model. We love to hear your ideas and opinions so do leave a comment below and remember to +1 too ~ thanks.